TORONTO, Feb. 14, 2019 /PRNewswire/ - Canada Goose (TSX:GOOS) today announced that it will open its second factory in Québec and eighth wholly-owned manufacturing facility in Canada, a testament to its continued commitment to keep production of its core down-filled jackets in Canada. Located in the Chabanel area in Montréal, Québec, the 115,000 square-foot factory will be operational and employ more than 100 people by the end of March 2019 with an expected 650 new positions at full capacity by the end of 2020. This new production facility follows shortly after the company's successful opening of its manufacturing facility in Boisbriand, Québec in 2017 which today is home to more than 500 new employees. The factory will be equipped with the latest in wireless manufacturing technology driving increased real-time efficiency and each sewer will have a tablet for digital guidance on operational execution. 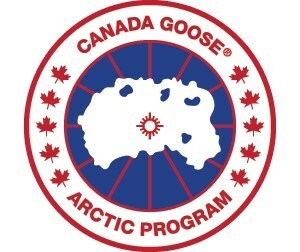 The facility will produce a full range of the Canada Goose collection which is sold in over 40 countries around the world. "We continue to raise the bar for what it means to be a leader in Canadian apparel manufacturing and we are thrilled to be doing that in the province of Québec. We are not just opening offices or putting up a masthead – we are helping to rebuild the cut and sew industry here by creating meaningful new careers for hundreds of people. We are incredibly proud to be making this investment in the community and continuing to grow our in-house capacity," said Dani Reiss, President & CEO, Canada Goose. In cooperation with Montréal International, the official economic development and promotion agency for the greater Montréal region, Canada Goose will expand its national sewing training school program within the new facility. The training school will provide sewing skills training for prospective hires and upon successful completion, trainees will graduate directly into full-time employment opportunities at Canada Goose. To date, more than 800 employees across the country have successfully completed the training program, moving into key production roles including sewing machine operators, line supervisors and production managers. Additionally, training courses in French will be provided for employees onsite. In the last four years, Canada Goose has expanded its manufacturing footprint and today also include three sites in Winnipeg, three in the Greater Toronto Area, and one in Boisbriand, Québec. Canada Goose is recognized for employing approximately 20 per cent of the cut and sew labour force across the country and has more than doubled the number of manufacturing workers it employs since 2017.